A FORMER winner at Crufts has a new spring in her step following life-changing hydrotherapy rehabilitation to treat a serious leg injury. Twinkle-toed Tiegen used to love nothing more than leaping over the hurdles on a dog agility course cheered by an appreciative crowd. However, the award-winning border collie’s show career had to be cut short after she suffered a grave injury to her cruciate ligament while she was training. 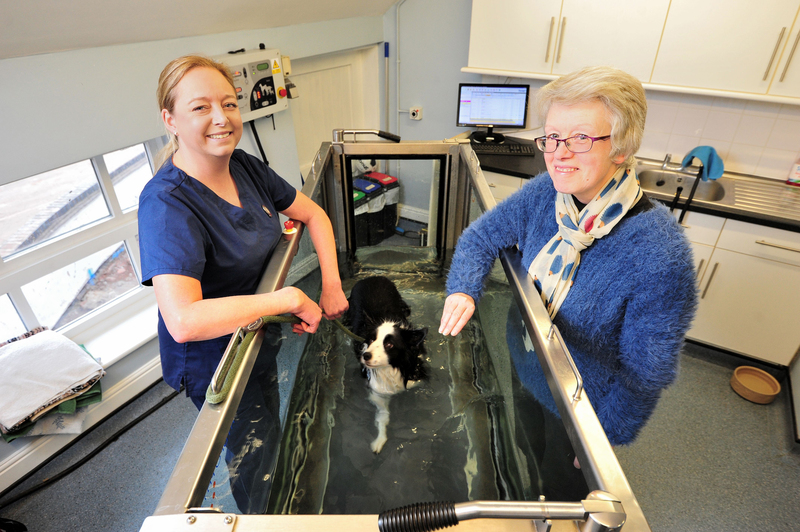 Her owner’s thought the 12-year-old would never be her sprightly self again; that was until she started treatment with Severn Veterinary Centre’s hydrotherapy team. By regularly using the underwater treadmill at our Berkeley House site in the hydrotherapy suite, Tiegen was able to regain strength in the leg so she could enjoy the outdoors again. Karen Milton, who lives in Halesowen with her husband Stuart, said: “The damage to her cruciate was so bad that she struggled to put her leg down properly. “After she had surgery we learned that hydrotherapy was a good way to slowly build up strength in the muscle, so we got in touch with Severn and they showed us their water rehab facilities. 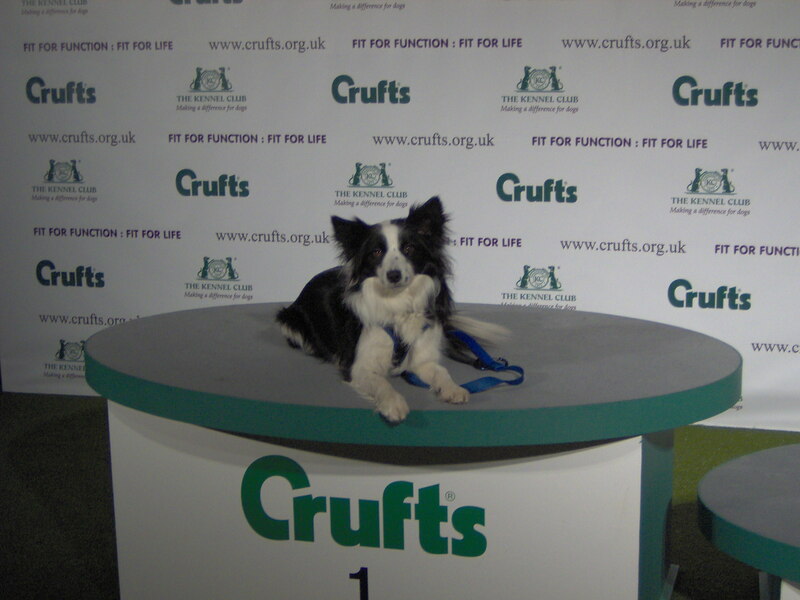 During her career, Tiegen won almost 200 Kennel Club agility classes and was part of the group to win the Crufts team award in 2012. Due to the injury and Tiegen’s age, the Milton’s have retired her from competition but she still loves to run around with the family’s two other border collies, Maddison and Brianna all thanks to the rehabilitation methods of hydrotherapy. Our hydrotherapist Natasha Cooper said: “If a pet has a problem with their cruciate ligament, with hydrotherapy treatment we can help it heal faster and relieve the pain the pet is suffering. “The underwater treadmill allows a dog or cat to exercise whilst being supported by the buoyancy of the water. This actively rehabilitates walking and trotting movements within patients. Natasha has been leading the hydrotherapy treatment at Berkeley House since 2008. During this time, Natasha estimates 18,000 treatments have been carried out, mostly dogs with the occasional cat. Clients attend for a range of reasons from; arthritis, joint displacement, and injuries to pre and post-operative recovery, weight management, and even general fitness and relaxation. For further information on our hydrotherapy suite, or to book a visit please call 01905 756156.